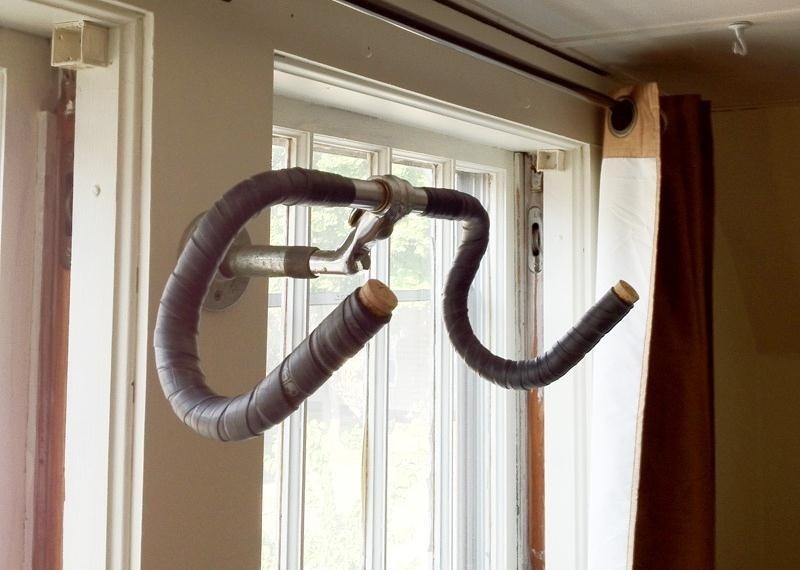 Kyle Wilson used old spare bike parts he had lying around and repurposed them into this stylish drop bar bike hanger. All you need to make your own is a set of drop-style handlebars, a quill stem that fits them, a piece of galvanized steel pipe, and a wall flange. For instructions, check out Kyle's blog. For something a little classier, how about this wall-mounted rack by Chaplinnn of Mini Penny? As far as materials, you'll need a wooden plaque, a hook, and some wood stain. She only spent $38 to make two of these, so it's a pretty cheap DIY solution that looks beautiful. Head on over to Mini Penny to find out how to make your own. 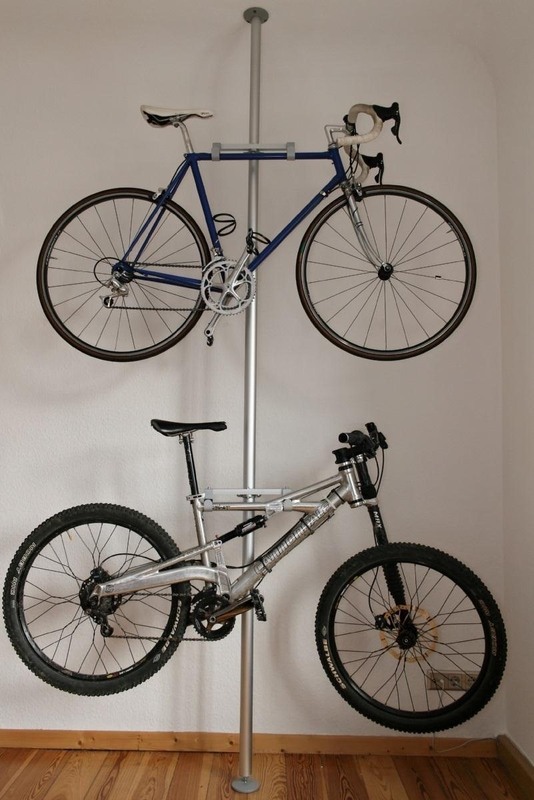 If you don't want your bike hanging on the wall, there's no shortage of simple racks that you can build without spending a lot of money. Have a big family (or just a lot of bikes)? This PVC rack by Hostess with the Motzes is your best bet. 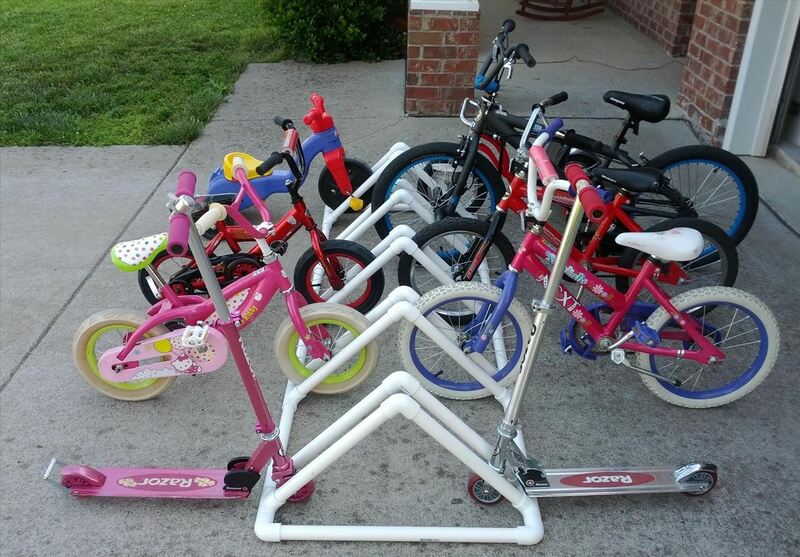 Pretty much all you need is a bunch of PVC pipe and connecters, and it looks like it'd be pretty easy to make larger or smaller, depending on how many bikes you have. Check out Kristen's tutorial for instructions. 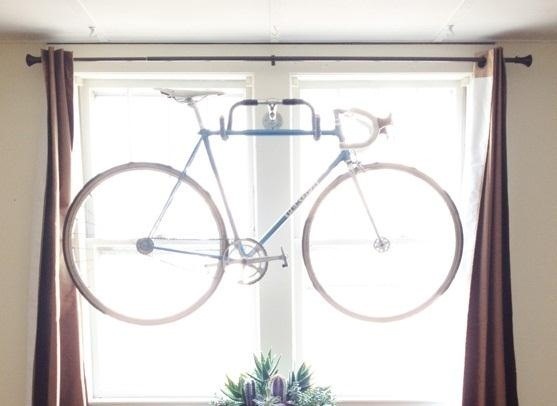 With a $30 Stolmen Post from IKEA and a couple of brackets and hooks, you can build this super easy DIY bike rack like Jules Yap over on IKEA Hackers. 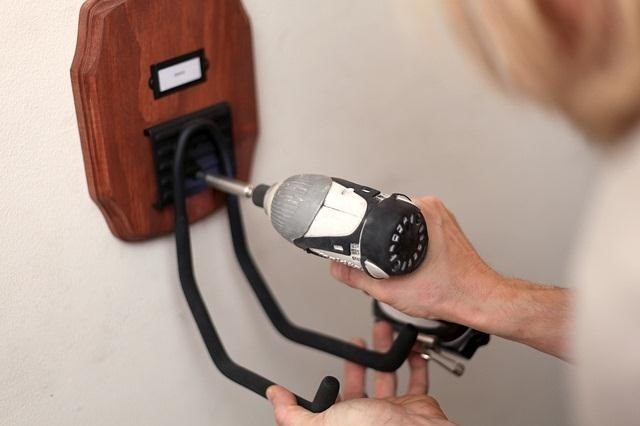 All you have to do is drill a few holes and screw in the brackets and hooks, so you should be able to hack this together in no time. For details and instructions, check out Jules' tutorial. 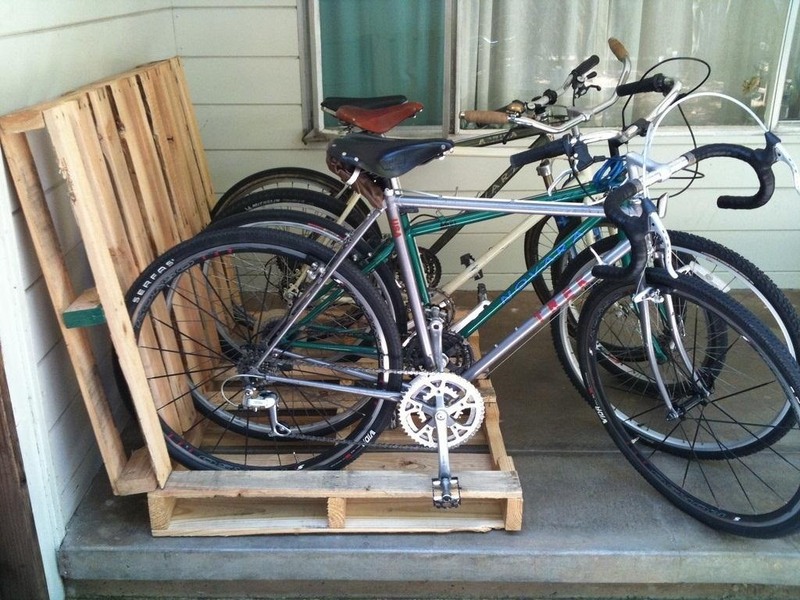 If you want to go really minimalist, you can prop up a couple of wood pallets for an instant, no-fuss bike rack like lowtechatmo did. 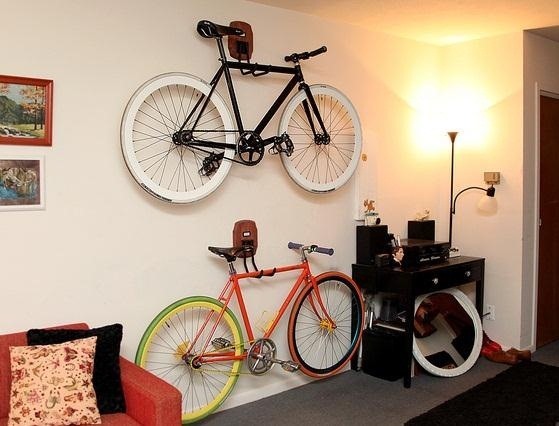 These are all great, but all the hanging mounts are made for bikes with horizontal bars. Obviously the racks would work for any bike, but I didn't come across any mounts for bikes with angled bars. Does anyone have an idea for one that would fit both (without one hanging crooked)?